The countdown continues until April 23rd, 2019, when we make our first plunge in the United States with #ESINYC shaping up to the best business to business esports conference to date. The early bird offer ends on Sunday, so for those looking to grab a ticket to a blockbuster event for just $399.79 (including tax), meaning a 20% discount on the final price, there’s no better time than now. You can purchase tickets on this page, or head to our main event page here for more information and to purchase tickets. For sponsorship opportunities or any questions please contact a member of the team or email info@esportsinsider.com. Here at ESI we take great pride in ensuring our content is second-to-none. Having organised more business to business events than any other conference organiser in the space, we take great care in choosing panel topics and ensuring only the best industry voices are there. ESI New York is an event focused on networking and business development in and around esports. 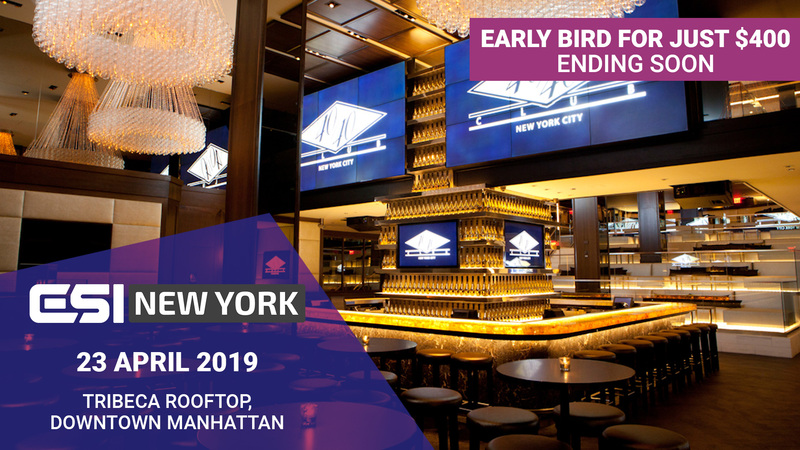 Below is but a brief highlight of just one of the incredible topics we have lined up for 200+ delegates at the idyllic Tribeca Rooftop in New York City come April 23rd. Over recent years we’ve seen gamers and esports superstars in particular come under the spotlight more and more often. Players now have huge followings, and with huge sponsorship deals flowing and mainstream eyes on the industry more than ever, they have a responsibility to act in a certain way when in public view. This can range from social media all the way through to appearances in front of press and media. We’ve sadly still seen examples of players slipping up through poor use of language, or controversial conversations with fans on social media that eventually surface. It’s important now that the industry continues to move forward, and given the often young age of players, that they’re provided with the right support as they have to transition to become “role models” to many. Saira has been covering the esports industry for over three years and currently holds the position of Managing Editor of Dot Esports. Saira is also a founder of ‘Women of Esports’ a new initiative looking to empower women in esports and bring awareness to the challenges women face in the industry whilst building a platform for change. Scott is undoubtedly one of the most experienced and recognised figureheads in esports. With his recent work assisting CS pro players with the Counter-Strike Professsional Players’ Association, Scott offers unique insight from an association perspective. Barry has worked in several aspects of esports through from broadcast as an interpreter and translator in South Korea at OGN, through to his existing role as an Agent at Evolved Talent Agency. 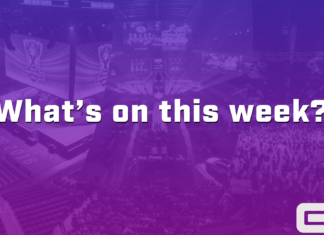 He now represents players from League of Legends, Super Smash Brothers as well as the Overwatch League so has worked with players making the transition into the spotlight. Greg is a man who has been around esports for a long time too. He started life as a commentator in the wonderful Dota 2 scene before heading to Vulcun Daily Fantasy in business development and returning to studio Beyond the Summit as Sales Director. He then moved into a consultancy capacity for several teams before starting as CEO of Digital Chaos in December 2017. Being a team owner, Greg deals with teams and players in Dota 2, CS:GO, Rainbow Six, PUBG and Fortnite and provides solid insight from a team ownership perspective. A panel discussing the perception of professional players wouldn’t be complete with a pro themselves. We’re delighted to welcome Kashan, a man who’s been playing Smash for 17 years, so it’s safe to say he’s been around the block and has stories aplenty to share with delegates. Want to download the full agenda? Click here. PUBG Mobile Star Challenge announced from Tencent, PUBG Corp.